If you talk about the best flashlights on the market, Nitecore is definitely one of them. Started 10 years ago, Nitecore has been creating innovative, sturdy, effective, and user-friendly illumination tools. This can be seen through the various awards that they have received over the years such as the 2014 ISPO Award Gold Winner CR6 and the 2013 China Outdoor Industry Award Winner HC50. 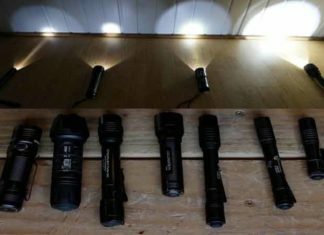 We have selected 14 all-time best Nitecore flashlight. Nitecore tools can be found all over the world as it has several distribution networks, covering more than 100 countries worldwide. 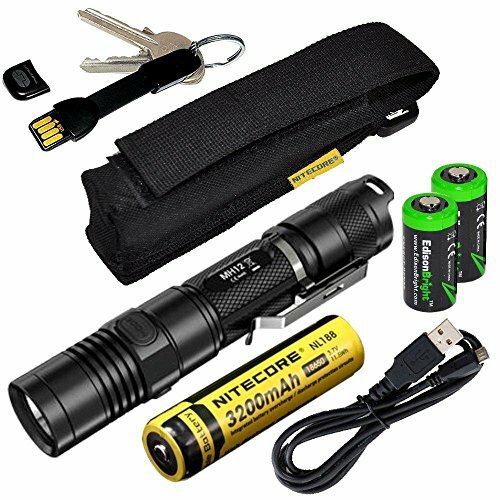 On top of that, Nitecore is known for its sturdy, reliable, and tactical flashlights that have proven over and over again to be one of the best. These LED lights are suitable for hunters, hikers, mountaineers, cyclists, law enforcers, military personnel, general use, and security personnel. With so many flashlights on offer from Nitecore, we have decided to narrow down and bring you some of the best Nitecore flashlights. These come with outstanding features. They are also easy to use and can be relied on in the hour of need. This is from the P-series to the M-series. With Nitecore, you will always find a flashlight that meets your needs and budget. 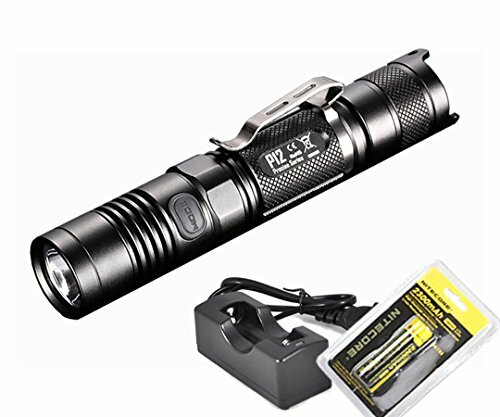 This is the latest version of the P12 flashlight. It is sturdily built and produces a maximum of 1000 Lumens. The P12 newest version comes with 4 light modes and 3 special modes. In addition, it is powered by 2x CR123A batteries or one 18650 battery. The flashlight is very easy to use with the tail cap switch and side switch. The compact and light flashlight is ideal for everyday use and for outdoor activities. As sleek as this flashlight appears to be, it is able to provide extremely bright light despite its small size. It is sturdily built and comes with a wide range of features. The flashlight produces an excellent beam with the help of the crystal coating technology. It also uses premium Cree XP-L hi V3 LED. This is a powerful technology and will offer you with years of excellent light. Easily cycle through the different light modes using the side switch. For individuals searching for a more versatile light for construction works or rescue missions, this is the best flashlight for them. The Nitecore P30 LED light covers up to 676 yards. It is super bright and great for outdoor activities like hiking, hunting, and camping. In addition, it has a complete hunting gear such as the red and green filters, battery magazine, high clearance mounts for rifle, holster, etc. 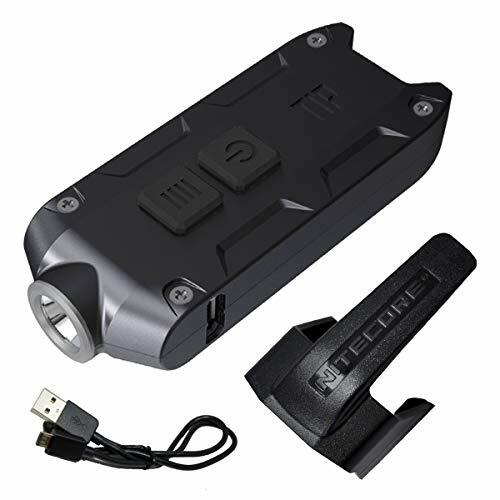 This is another powerful flashlight from Nitecore. The TMO3 super bright flashlight produces a maximum of 2800 Lumens. Also, it uses the latest technology in Cree XHP70 LED. 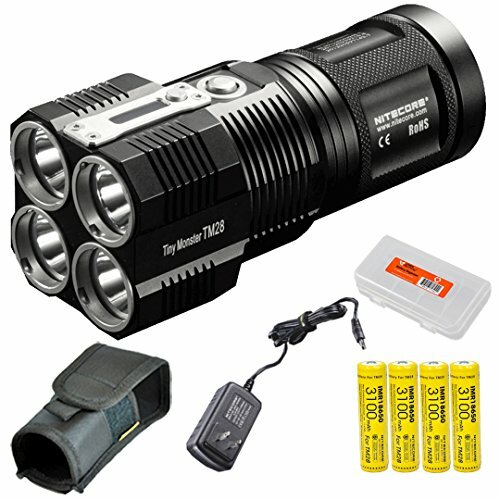 It is powered by two 18650 batteries and has 4 light modes. These are low, medium, high, and turbo. Its peak beam distance is around 289 meters, which is amazing. The flashlight is built for tactical use and can resist both water and droppings. Keychain lights are suitable for people who don’t love to carry heavy tools with them. The Nitecore TIP 2017 flashlight might be small, but it can be helpful in the hour of need. As small as it is, it has 4 light modes. In addition, it is sturdily constructed to withstand all the daily hardships thrown at it. The flashlight is available in different colors and it can as well resist impact and water. 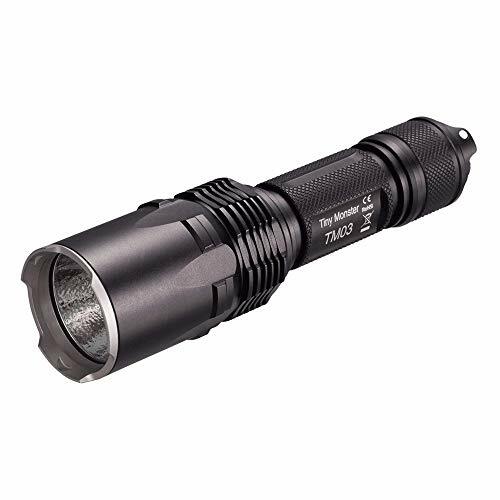 The Nitecore MH12 Led flashlight is a compact flashlight built for outdoor and general use. It is made of aero grade aluminum and has a hard-anodized finish. The intelligent memory feature enables the flashlight to recall the last light mode. The flashlight has a tail stand capability, which makes it ideal for use in a camp. The power indicator shows the level of the battery, which assists you to recharge it. 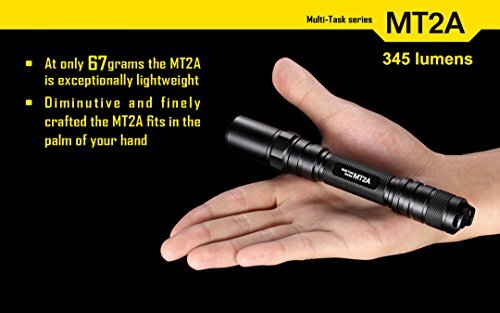 If you are on a budget but still want a strong and reliable flashlight, then, the Nitecore MT2A is an ideal choice for you. This tiny and sturdy flashlight has a firm grip for holding it even when in pressure. 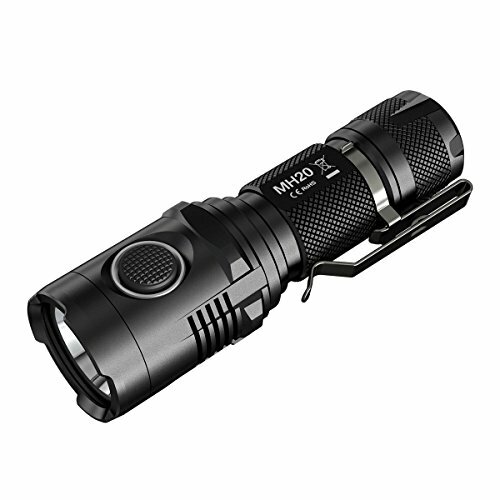 It produces a maximum of 345 Lumens, which is bright for its size. The flashlight can be used for defense as it has a strike bezel and strobe mode. 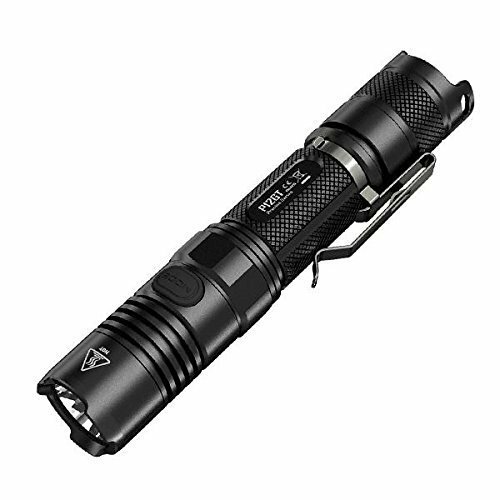 With a maximum run time of 50 hours, this is a great every day carry flashlight. The Nitecore Tiny Monster is one of the most powerful flashlights on the market. It has a maximum of 6000 Lumens and a beam distance of 716 yards. With such light, you can view the entire pitch or brightly light the whole camp. The light is powered by 4x Nitecore 3100mAh IMR 18650 batteries. The built-in OLED display shows info about battery level, brightness level, and remaining run time. Furthermore, it uses powerful CREE XHP35 HI LEDs and has 5 brightness settings. 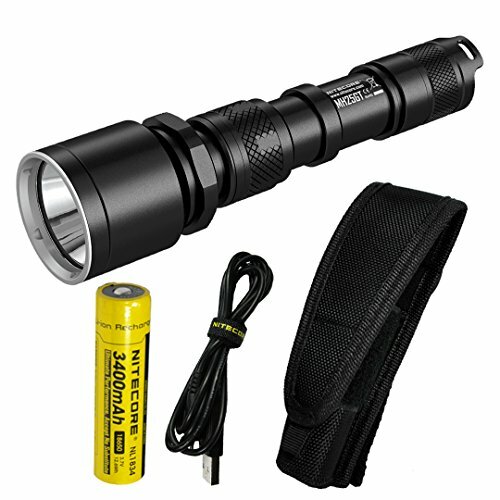 If you are looking for an excellent tactical flashlight, the Nitecore MH20GT LED flashlight is built for tactical use. This flashlight is made of a military grade aerospace body with a hard-anodized aluminum finish. The flashlight can be immersed in water up to 2 meters for 30 seconds. Also, it can resist droppings of up to 1.5 meters. With a maximum Lumen of 1000 and beam distance coverage of 362 meters, this is a wonderful flashlight to have on the trail. The Nitecore tube kitchen light T series is a great EDC flashlight. The small light produces a maximum of 45 Lumens, which are enough to provide you with light for general use. The flashlight is impact resistant and uses a rechargeable Li-ion battery. It comes in a variety of colors and has two brightness levels to select from. The Nitecore MT10C is a simple but powerful flashlight. It can stand on the tail cap and thus great for providing a flood light. Also, it uses Cree XM-L2 U2 LED and produces a maximum of 920 Lumens. In the flashlight bundle, you will get one 18650 battery, holster, USB cable, and a USB flashlight. Use the pocket clip to attach the flashlight to your pocket. This is one of the brightest everyday carry flashlights. The Nitecore EC23 has a maximum of 1800 Lumens which reaches 278 yards. It is sleek and compact in design for easy use and handling. It has a nice grip, which means that you can hold it firmly even in wet conditions. With 5 brightness levels, this is a versatile light that can serve different uses. 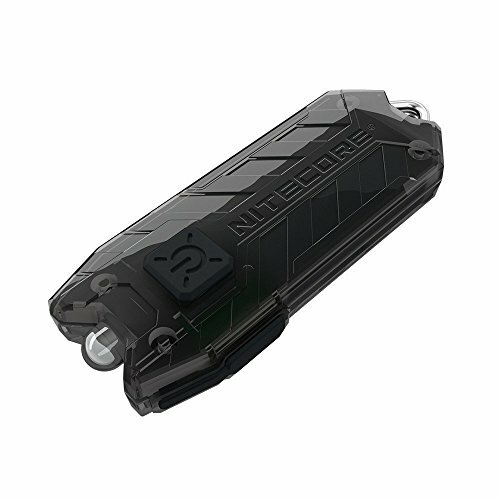 The Nitecore MH20 flashlight is powered by either a 3400 mAh battery or a 18650 Li-ion battery. It can be recharged easily and anywhere through its USB port. When the battery is low, the battery level indicator will let you know. Cycle through the 5 brightness levels and three special light modes depending on the activity at hand. Last but not least, we have the MH25GT LED flashlight. This is another high-end LED flashlight with excellent features. It is an upgrade of the Nitecore MH25 LED flashlight. It is powered by one 18650 battery, which provides a longer run time of 36 hours in low light mode. 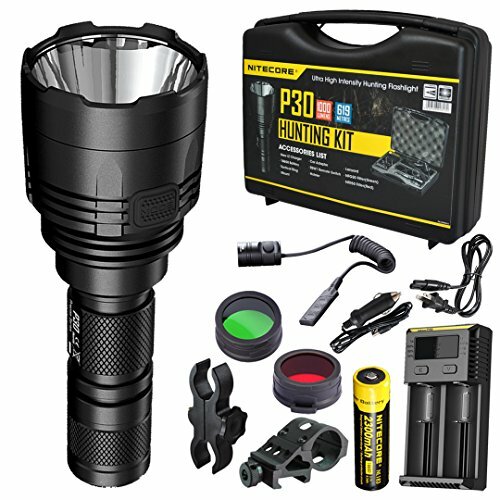 This light is great for hunters, hikers, law enforcers, and outdoor enthusiasts. 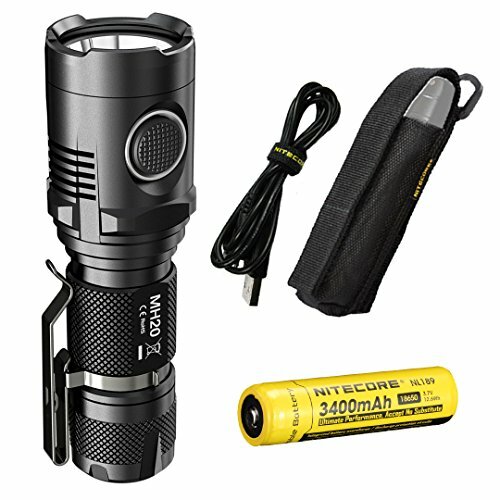 Nitecore is a popular flashlight brand.If you want a high-quality best Nitecore flashlight, then buy from above list.